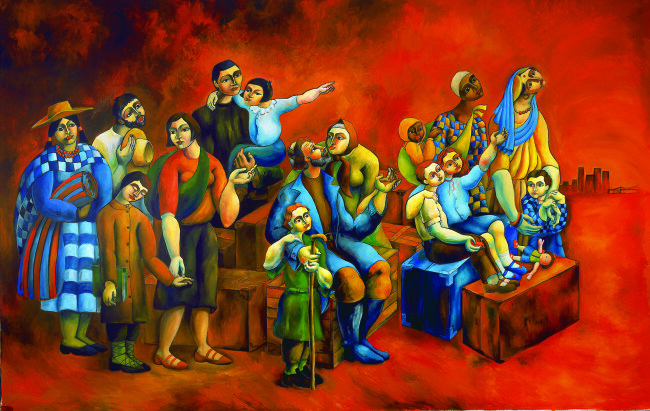 Yuroz is the only living American artist who has his work hung in the Vatican’s permanent collection. 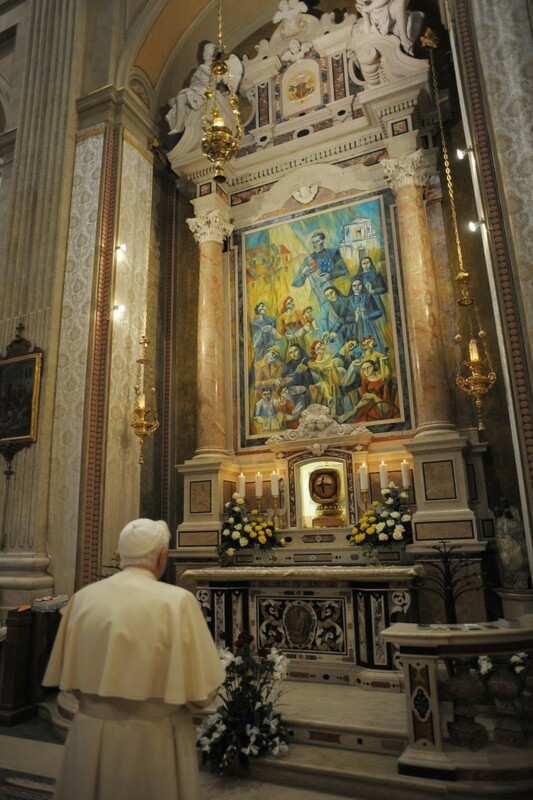 “The Light of Compassion” honors the sainthood of Arcangelo Tadini, the Saint of the Working Woman, a masterpiece specially commissioned by Pope Benedict XVI’s Vatican office and unveiled at a ceremony where Pope Benedict XVI blessed the painting in Botticino Sera, Italy. Twice commissioned by the United Nations to produce the United Nations Mural for Human Rights, Yuroz donated images from his murals, “Respect for Refugees” honoring the 50th anniversary in 2000, and “Human Rights” dedicated to Human Rights Education from 2004 were reproduced as stamps and released around the world. Several million of Yuroz’s stamps were sold around the world, raising funds for the United Nations. 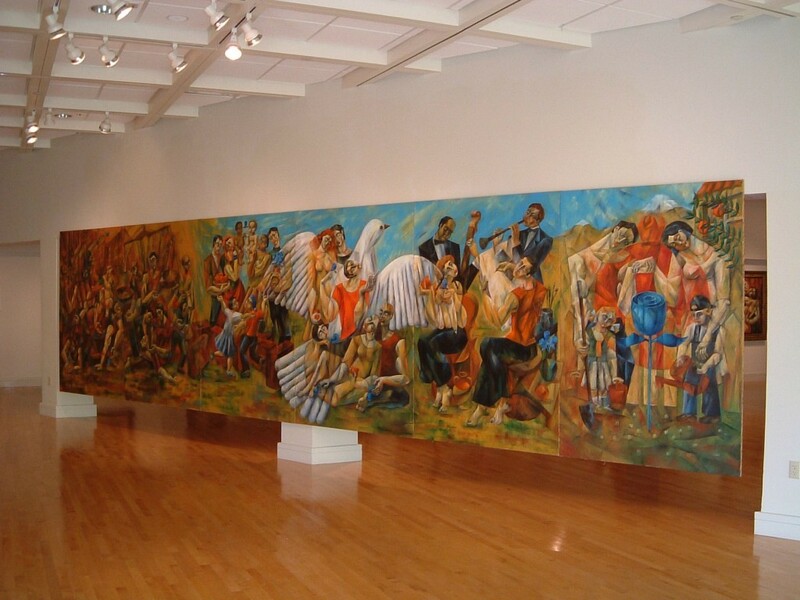 These murals have travelled with Yuroz nationally and internationally in ongoing sponsored events to raise awareness and raise funds for the underprivileged and other humanitarian needs. Symbolism forms the backbone of Yuroz’s classical romantic paintings and the themes of the stories he tells through his paint brushes. Blue is the color of healing and rose is the symbol of love. 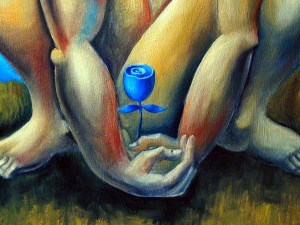 Blue rose symbolizes healing through love.Pomegranate symbolizes fertility, creativity, prosperity and power. To the artist, this fruit that bore through the rockiest and the most arid landscapes is a symbol of survival. 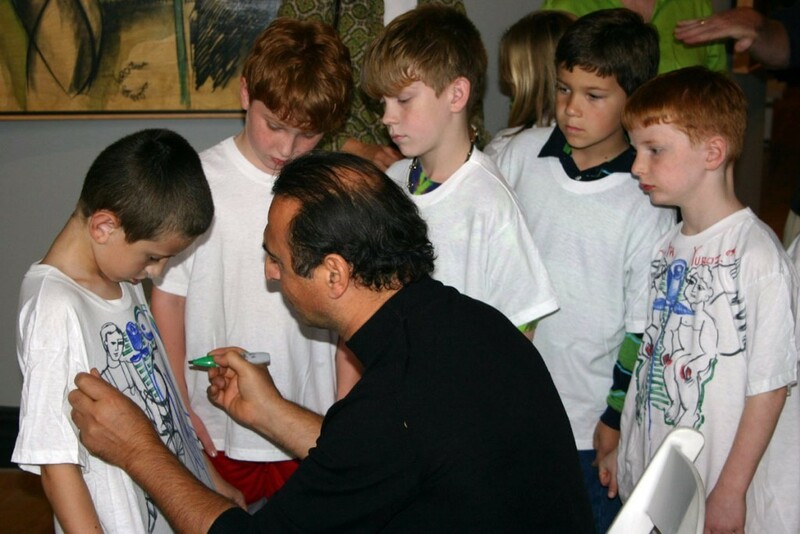 At the age of ten, Yuroz was accepted to attend the prestigious Akop Kodjoyan School of Art in Soviet Armenia. 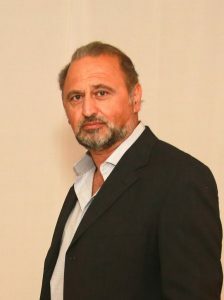 His classical training, combined with skills earned while attaining his Master’s Degree in Architecture from the Yerevan University of Art and Architecture has given him an edge to be able to mesh the attributes of the Renaissance masters with innovations of contemporary art while blending a unique sense of balance, color and space with modern day technology when creating his masterpieces.Yuroz has always been an architect and an explorer all his life. It manifested in many ways over last 30 years in his career being an artist. Careful observation of his work no doubt shows he consistently pushes the envelope and always looks for new and better ways to express his ideas.